Just in time for the holidays, the Brick&Putt original course is now available. The angle of the incline makes a nice smooth approach. The specially designed 10.5′ putting felt gives the ball a consistent roll. 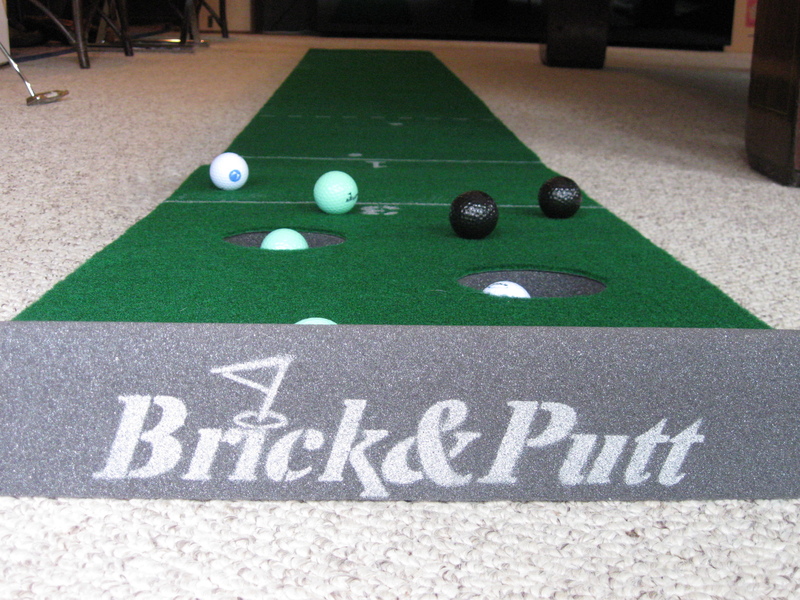 Improve your putting skills with Brick&Putt. The course is perfect for practicing indoors during winter. Play fun games with your family while getting in some off-season practice. Give your kids a great game that you all can play together. Spend time with family and friends playing fun games while improving everyone’s putting skills.